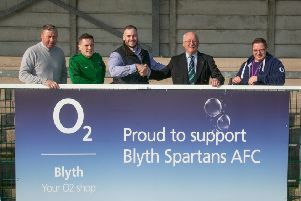 The producer of Blyth Spartans’ TV channel has decided to leave the club for Gateshead. Stephen Hurst said he had an offer of a paid post and one with broader links to local television companies. “I am extremely sad to leave the Spartans,” he said. “I’ve loved every minute of it but the chance to join Gateshead was simply too good an opportunity to turn down. “I will be running their YouTube channel and feeding coverage in to the north east TV stations on a regular basis, so it’s a foot in the door into broadcasting. Phil Castiaux, Spartans’ media manager, said: “There’s no two ways about it, it’s a big blow to lose Stephen. “He put a great amount of his own time into the position and the quality of his work has been consistently outstanding. “We’ve been very fortunate to have benefited from his undoubted skills. “We like to think that the media team at the club has a reputation for taking on bright new media and journalism talent and allowing them to flourish, so, in those terms, there is some pleasure in seeing Stephen moving on.